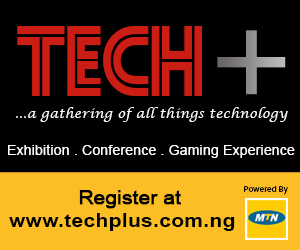 The Center of Excellence, Lagos City is the Venue where the innovative Event will be holding on 24th July 2015, TECH+ (Tech plus) plans to be the channel where new technology will be Stirred up with Quality coverage. For those who may be looking for where to launch their Start ups or Exhibit their solutions in a Conference, TECH+ is the perfect Spot to do this. The event promises a Quality amount of gathering that will feature all things "Technology"
The event is not just a platform for showcasing or launching your startups, it is also a knowledge sharing and networking gathering for stakeholders in the technology community. Date: July 24th – 25th, 2015. Venue: Eko Hotel Conference & Exhibition Centre. More so, there would be a TECH+ GAMING COMPETITION. Interested Participants will showcase their Gaming Skills in one of the World's Most renowned Games, MORTAL KOMBAT X and FIFA 2015 by EA Games. You can Register for the Competition Here.